Crystal Sound Systems, Inc. is a leading Motorola two way radio dealer and public address / sound system company based in McMurray Pennsylvania. As an Authorized Motorola Channel Partner we sell the industry leading Motorola Commerical series portable two way radios including; Motorola BPR20 BPR40 CP185 DTR650 VL50. 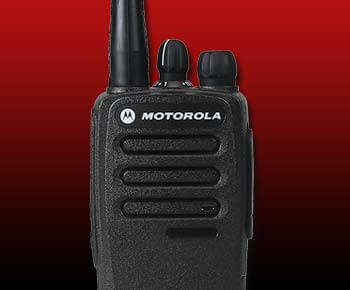 We also sell Motorola's professional two way radios and MOTOTRBO digital two way radios. Check out our new Video Section! Increase your mobile work team's operational efficiency with MOTOTRBO. The next-generation professional two-way radio has arrived with the MOTOTRBO Professional Digital Two-Way Radio System, which boasts better performance, productivity and value. Find out more about MOTOTRBO. Motorola Original Accessories have to pass stringent design and tests such as Accelerated Life-Testing. ALT accelerates the life of a product design by packing approximately five years of product use into five weeks of grueling testing. Find out more about our batteries.